A perfect and easy way to start the day! Add coconut milk, agave, cinnamon and super food (or your favorite green powder!) into hot oatmeal. 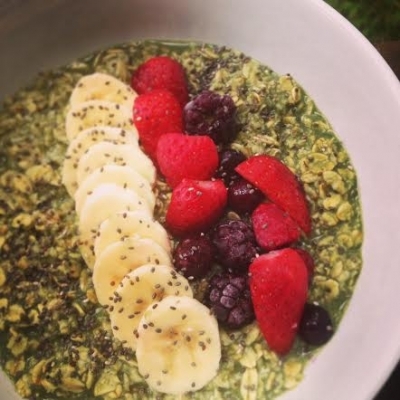 Top with sliced banana, berries and sprinkle with chia seeds!